The world of the legal system is one that can appear cryptic and even intimidating to an outsider. However, imagine being able to obtain a working knowledge of the law and legal system as well as the details that make it up. 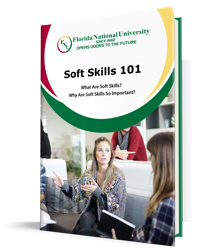 This specialized skill can be used to help a wide range of people and businesses to understand how the law can work for them—but first, this skill must be learned. Often referred to as legal assistants, paralegals are professionals with the training and knowledge to work alongside attorneys and assist with any delegated substantive legal work. They are not allowed to dispense legal services to the public and can only do so under the instruction of an attorney or law office. The typical duties of a paralegal involve the sorting and analysis of depositions as well as the drafting and summarization of various forms and documents. There are a few different varieties of paralegals with specialized areas of focus, such as litigation immigration, bankruptcy, real estate, family law, and corporate. Some paralegals choose to specialize due to a particular interest, or because of what is required of them by employers. The good news is that this specialization can sometimes lead to higher wages. According to the Bureau of Labor Statistics (BLS), the median annual pay for a paralegal is $46,990 and the demand for the profession continues to grow year after year. 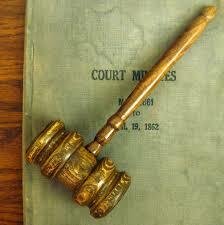 The court clerk is one of the most indispensable positions in the courtroom. Without this role, the judicial system would not be able to function. While this job itself appears to be simple, it is quite detail oriented, dealing with sensitive documentation. Although there is an aspect of customer service to the job, it mainly deals with the managing of court records: a task that involves processing legal documents, scheduling court cases, and auditing files to maintain an acceptable level of accuracy and consistency within the court records. During a trial, court clerks also have various duties to fulfill. For example, they are often tasked with recording the time during a hearing, along with the testimonies made by witnesses. Court clerks are even sometimes asked to administer the oath taken by witnesses in a trial. FNU’s legal studies degree provides the base upon which one can build further education in law school. This can eventually, potentially lead to a career as an attorney. Attorneys provide legal counsel and representation to clients both inside and outside of the courtroom. They also can focus on particular fields such as entertainment, bankruptcy, divorce, medical malpractice and environmental law. The path from student to professional lawyer takes approximately seven years, which typically includes earning a bachelor’s degree, successfully passing the Law Schools Admissions Test (LSAT), receiving a law degree from an accredited program, and passing the bar exam for state licensure. The process can seem daunting, but the BLS notes that lawyers enjoy a high median salary of $113,530 a year. Considered one of the most elite law enforcement agents in the world, Drug Enforcement Agency (DEA) agents fight against the threat of illicit drugs affecting the US. They do this by coordinating their efforts with other law enforcement agencies within the country and around the world. Agents gather information on the organizations involved in the production and distribution of illegal drugs and are sometimes inserted into foreign countries to curtail the influx of drugs being trafficked into the United States. Agents go through a rigorous, 18-week training course that develops and strengthens skills, including firearms proficiency, situational decision-making and a variety of leadership exercises. Agents are allowed the opportunity to specialize in certain fields and their day-to-day activities can vary considerably, as a result. There are also specific legal careers within the DEA, which are vital to the operations of the agency. The Federal Bureau of Investigation (FBI) employs special agents to lead and carry out investigations in matters of national security. FBI Agents are authorized to carry firearms and can find themselves facing dangerous situations that require performing official busts and pursuing and capturing high-profile criminals. The duties of an agent depend greatly on the investigation they are a part of. Typically, agents do a vast amount of research; they also conduct a thorough analysis of the data they uncover while on the field, and they fill out the accompanying paperwork. The life of an FBI agent requires one to work erratic hours, to travel frequently (often without prior notice) and to relocate. Agents are required to have prior law enforcement experience as well as a bachelor’s degree. Also, all prospective FBI agents go through an 18-week training course to prepare them to handle critical situations on the field. Students who choose to study in a legal studies program have a number of doors open to them—and when it comes to opportunity, this is only the tip of the iceberg! With a legal studies degree from FNU, the road to an enriching and successful future is clear. Interested in pursuing a degree in legal studies? Now is the perfect time to take a look at the programs made available to FNU students. Apply now and get started on the path to success! “Bachelor of Arts (BA), Legal Studies Degree Average Salary.” Bachelor of Arts (BA), Legal Studies Degree Salary, Average Salaries. PayScale, n.d. Web. 03 Feb. 2015. “Summary.” U.S. Bureau of Labor Statistics. U.S. Bureau of Labor Statistics, n.d. Web. 03 Feb. 2015. “UIS.” What You Can Do With This Degree – Department of Legal Studies. N.p., n.d. Web. 03 Feb. 2015.